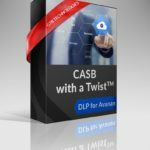 GTB Technologies, the leader in Data Loss Prevention (DLP), announced today the release of the first facet of the GTB CASB with a Twist TM solution with the integration of GTB’s patented Cloud DLP engines into the Avanan cloud governance platform. The addition of GTB’s Cloud DLP into Avanan creates the most comprehensive data loss prevention solution available for a CASB / Cloud Governance solution by providing the most accurate data recognition, visibility and control for the Enterprise cloud. Supported SaaS platforms include Amazon Web Services, Office 365, Box, Dropbox, Sales Force, Google Drive, Slack, Egnyte, Shadow IT and 50 other SaaS providers. GTB Cloud DLP for Avanan performs advanced intelligent analysis for incoming and outgoing cloud data, either in streams or files, thus providing its users the most accurate content visibility and control over data and files shared in SaaS / PaaS applications which prevent data breaches, safeguard intellectual property, ensure regulatory compliance, while protecting against insider threats such as trusted users, malware and ransomware. “Avanan uses native API to a plethora of SaaS providers thus giving our customers an almost instantaneous Cloud Governance program including GTB DLP for their apps and data.” Said Uzi Yair, GTB Technologies Co-founder. Avanan’s cloud governance platform, a Gartner Cool Vendor, delivers cloud security in a way that enables enterprises to use trusted third-party data security products on premises with any of their cloud-based platforms. The addition of GTB Technologies Cloud DLP, a 5 time Gartner Visionary and creator of DLP for IP, to the Avanan Cloud governance platform offers the industry’s most complete and advanced cloud security platform to accurately protect data in SaaS and PaaS applications like Office365, Google Apps, Box, Salesforce and Amazon AWS. Automatically remediate Enterprise policies with enforcement actions with the ability to encrypt, redact, block, and quarantine sensitive data; ultimately protecting your business. GTB's Cloud Services solution is deployed in a few clicks! Choose your SaaS. Choose your Security. One Click: Avanan protects the enterprise SaaS with the same industry-leading security that corporations trust in their datacenters. Avanan’s cloud-based platform requires no proxy and is deployed in 10 minutes to protect corporate SaaS with any security, all with a click of a button. Avanan headquarters are in New York City, and R&D is in Tel Aviv, Israel. 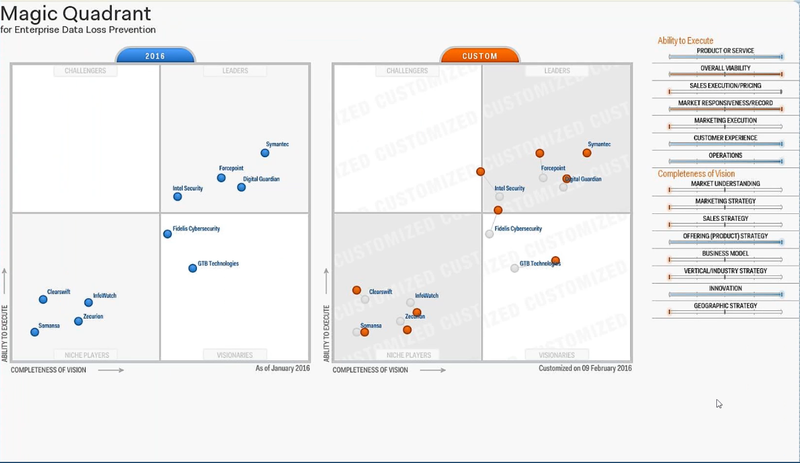 For over 13 years, GTB Technologies, the creator of DLP for IP and consistent Gartner Visionary, has provided the data protection solution that accurately prevents sensitive data loss / data ex-filtration from within the network, at the endpoint, in the cloud or anywhere else; either agent or agent-less, in files or data streams. Delivered on-premises or off, as a managed service, self-service or a hybrid. *SOURCE: G00300911 Gartner 2017 Magic Quadrant for Enterprise Data Loss Prevention, 16 February, 2017, Brian Reed and Deborah Kish.